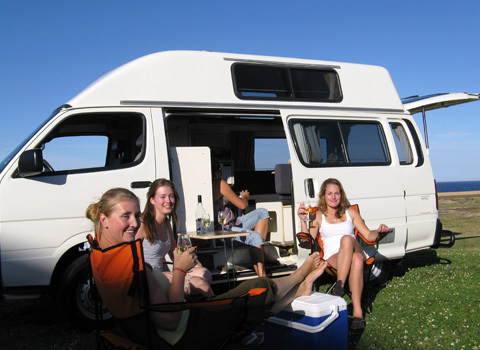 Travelwheels Cairns Campervan Hire have 5 different campervans for hire from Cairns. We have something for the budget conscious to automatic campervan hire that is very popular with our Australian and American customers. We also do a range of family friendly Cairns Campervan Hire vehicles as well. Travelwheels Cairns to Sydney Campervan Hire Price Match! Travelwheels Cairns Campervan Hire will match any Cairns Campervan Hire quotes with our competitors for bookings longer than 14 days. Travelwheels are specialist in Cairns to Sydney Campervan Hire and will price match all deals with our competitors for Cairns to Sydney Campervan Hire! All you have to do is send travelwheels Cairns Campervan Hire an email and we do our best to match our competitors deal for you! 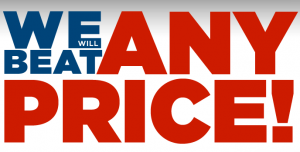 Remember we only price match on similar vehicles, ages, quality and if we have availability. We will not be beaten on Cairns to Sydney Campervan Hire deals! Travelwheels Cairns Campervan Hire depot is located in the city limits, and close to the airport which is only a short taxi drive away. It’s so easy to fly into Cairns and rent a campervan within an hour of landing! Check out Travelwheels Cairns Campervan Hire – click here to view our specials! If you are flying in to the airport, then our depot is only a short taxi ride away. Within an hour of landing you could pick up your Travelwheels Cairns Campervan Hire van and be on the road exploring Queensland. Travelwheels Cairns Campervan Hire have a FREE Cairns to Sydney route planner with helpful tips, places to visit with your camper. The city is the adventure capital of Australia and the gateway to the incredible Great Barrier Reef! Enjoy the majestic world heritage listed Atherton tablelands and you might even see a platypus in the wild! See if you can spot the tree climbing kangaroo in Northern Queensland! If you are doing this route in reverse, then Travelwheels Cairns Campervan Hire have another detailed free route planner to help you make the most of your camper hire. Remember we always have different special offers for Cairns to Sydney campervan rentals. Click below to email travelwheels about our Cairns specials. Remember you can write in English, Deutsch or Français and our friendly staff will do all they can to find you a great deal on Camper Hire.